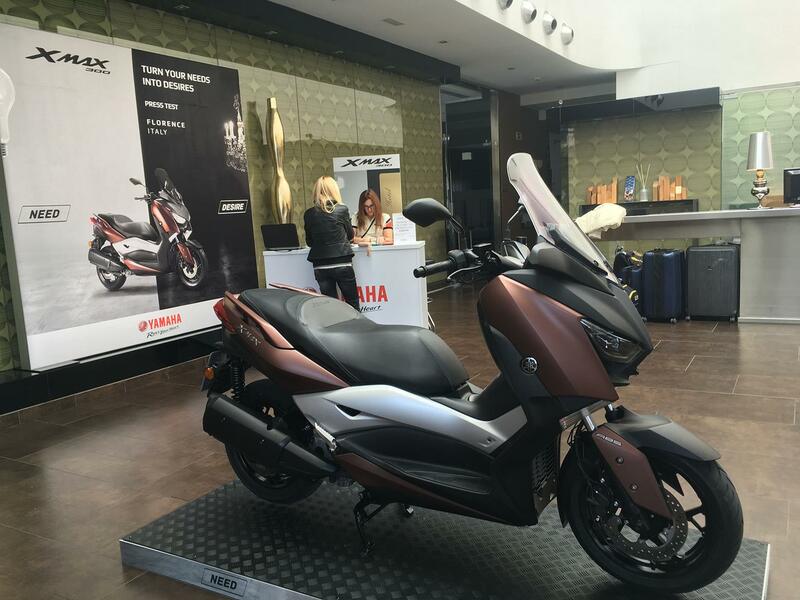 MCN is in Italy, the heart of scooter country, to test Yamaha’s new X-MAX 300 around the streets of Florence. The X-MAX 300 replaces the older X-MAX 250 in Yamaha’s maxi-scooter range and sits alongside the X-MAX 125 and X-MAX 400, although it has a bit more to offer in terms of specification than either of its siblings. Not only do you get ABS as standard on the X-MAX 300, you also get traction control, disc brakes front and rear and even a keyless ignition – which isn’t bad going at all for a smaller capacity scooter. But there is a catch, this is a premium product and as such it does cost a slightly hefty £4949, which seems a lot but in actual fact is only a bit more than its lower specification rivals such as the £4699 Honda Forza 300, £4599 Kawasaki J300 or £4599 Kymco X-Town 300i and less than the Kymco Xciting 400i, which is £5599, and £6299 Burgman 400 (although the Burgman 200 is £4199). Oddly enough, although the X-MAX is A2 licence legal, Yamaha don’t see many new riders buying it and instead it is more targeted at suburban commuters who want a large size scooter that can do a bit of motorway as well as city commuting. Then, at the weekend, also take a passenger on short hops – hence the large storage capacity and ample passenger room. Does it fulfil this task? MCN is riding it tomorrow so we will let you know. Ciao!